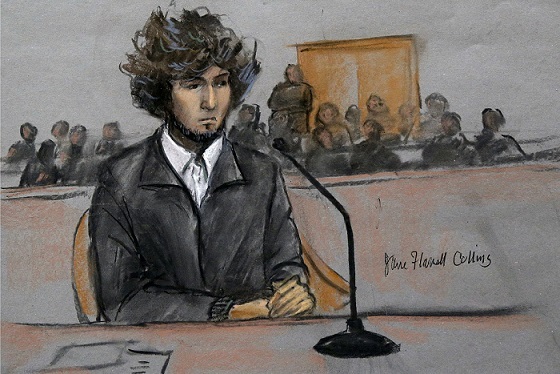 Dzhokhar Tsarnaev has just been sentenced to death by a federal jury for his role in the Boston Marathon bombings. The sentence has been met with a lot of discomfort in Boston and the surrounding environs. Massachusetts is predisposed to rejecting capital punishment as a general rule. Even in this case, where the terror and horror hit so close to home, the people of Massachusetts are leery of the death penalty. The application of the death penalty in the United States is rife with racism, false guilt, and corruption. The nation is slowly but surely moving towards abolishing the practice. But there are still many men (and a few women) on death row, and it stands to statistical reasoning that at least some are innocent. With an average of 4 people exonerated annually from death row, it’s impossible to believe some have not fallen through the cracks. In light of the at best questionable guilt of many of the people facing execution or already killed, trusting the United States to apply the death penalty fairly requires a suspension of disbelief. This suspension of disbelief is as follows: the United States has the right to put people to death and even though it may have erred in the past, this time will be different. This time, the United States is acting in accordance to its own rules and justice will be served. Unfortunately for that point of view, the US has proven again and again that it has little to no understanding of or care for the rule of law when it comes to acts of oppression against its own citizens. From surveillance to torture to assassination, the US acts as it wishes in relation to its citizenry (to say nothing of the rest of the world). In this light, it’s not hard to see where the American love affair with the death penalty comes from at the administrative level. What’s even more disturbing is the fetishization of revenge that the American people take part in by endorsing the government’s right to kill its citizens. Although support for the death penalty has fallen drastically in the last twenty years, a plurality of Americans still support it outright and many- paradoxically- support it with the caveat that it only be used on certain criminals for certain crimes. And this support comes from the public, those whose lives could be destroyed by false evidence or the whims of a prosecutor, the desire of the government to send a message or simply a misled jury. It boggles the mind. There are questions about how the jury reached the death sentence. The Intercept’s Murtaza Hussain has already written a thorough article detailing the questionable practices of the judge in the case to force the jury to find for death. The federal government, prosecuting the case, acted to stymy any conceivable action by the defense to change the venue to one less emotionally resonant than Boston. Even in a case as open and shut as this, where the accused has admitted his guilt, the government feels it is necessary to lie and prevaricate to garner the public’s support for killing. This should be a red flag for anyone still holding out hope that the death penalty is a legitimate punitive measure as applied by the government. Support for the death penalty is support for the government having the power of life and death over its citizenry. It’s not a power the people should support, especially when the government in question has as troubled a record with legislative matters of life and death as the United States. 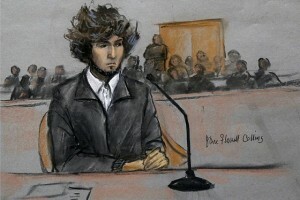 Even when the accused is Dzhokhar Tsarnaev. This article was posted on Monday, May 18th, 2015 at 2:45am and is filed under Death Penalty, Justice.